Utilities and services amount to just one thing; bills, bill and more bills! All those direct debits flying out left, right and centre on a monthly basis can be an absolute nightmare to keep on top of. Even the smallest of hikes in price on your services can add up to a full on nightmare and leave you struggling to keep up. Thankfully, when you're armed with utility vouchers from vouchercloud, you can soon bring your spending on services back under control. Home improvements, deliveries, phone, internet and TV subscriptions, domain hosting, dating and the dreaded gas and electricity costs aren’t so fearful when you’ve got vouchers and offers from vouchercloud to use against your subscriptions. From free trials to money off annual memberships and added extras when you sign up to contracts - before you part with your hard-earned cash, be sure to browse vouchercloud or download our smartphone app to make sure you're getting the best offers out there. After all, the service industry is the country's largest sector - if you can't find great savings on vouchercloud, then where can you find them? We’ve got some of the top service providers working with us too, so you won’t have to compromise on stellar customer service, exceptional speed or quality when you sign up with one of our deals. So whether you’re looking to change your mobile phone provider or upgrade to fibre optic home broadband, we’ve got plenty of companies you can pick from –Virgin Media, Sky and BT Broadband all offer a variety of packages to keep you connected and entertained, and with our vouchers, it’ll be at an affordable price too it’ll be at an affordable price too! 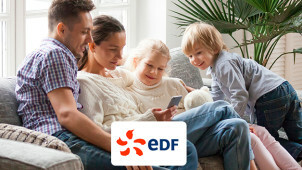 For keeping in touch on the go, you can get a utility voucher code for top mobile service providers like EE Mobile and Vodafone to keep you connected all with a variety of minutes, texts and data packages for you to choose from.